This clear 4" Peak Paperweight is a perfect gift for those that have achieved new heights. 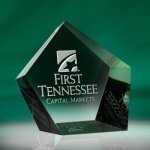 An excellent real estate gift paperweight award. This clear 4" wave shaped paperweight has a flair of elegance to it. 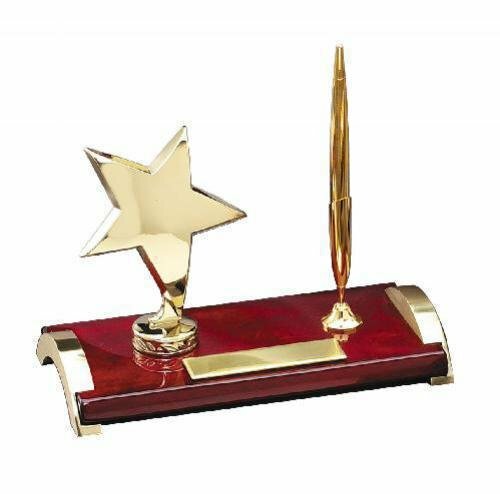 A perfect gift for almost any award presentation. 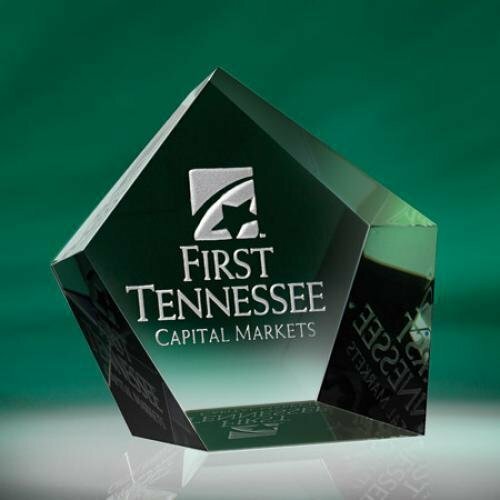 The Wedge Paperweight acrylic award is the perfect size desk paperweight! It features a beautiful angled taper and stunning gold tone mirror bottom. Optical Crystal Pentagon Star. Foamed Gift box included.